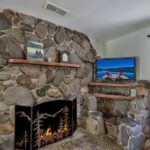 New 2 Bedroom Listing in South Lake Tahoe! 1321 Acoma Court, South Lake Tahoe CA offered at $349,900Wonderful Tahoe cabin seeks new family to enjoy it. Come experience this remodeled cabin with fantastic features like: a gorgeous river rock fireplace, open floor plan with beautiful hardwood floors, wainscoting, copper sink, Honey onyx counters and slate entry. This sturdy cabin boasts a metal roof, central heat and ample storage at garage & multiple closets There is protected USFS land to the rear providing scenic...Continue Reading! 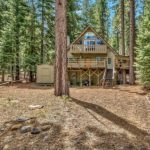 1641 Pawnee Drive, South Lake Tahoe CA offered at $499,000A true Tahoe experience is to be had in this fantastic Mountain Chalet. It is an Outdoor enthusiasts retreat! This Great home is located in a quiet Tahoe Paradise neighborhood & backs up to a fantastic trail system for cross country skiing, snow shoeing, snow mobile riding, bike riding & hiking. Destinations on this trail system include: Power line, Mr. Toads Wild Ride, Saxon Trail, Armstrong Pass &...Continue Reading!